Orlando weathered seven lead changes in overtime, before finally putting the Grizzlies away when Vucevic drove through the heart of the Memphis defence for a layup to make it 121-118 with 35 seconds left. Fournier finished the scoring with a pair of free throws 11 seconds later. Orlando's fourth-quarter rally was sparked by Ross' offence - he hit three 3-pointers in the first six minutes of the final period - and an aggressive defensive effort from the entire team. Orlando limited Memphis to 27.8 per cent shooting (5 of 16) in the fourth quarter, after allowing the Grizzlies to shoot 57.5 per cent the first three quarters. 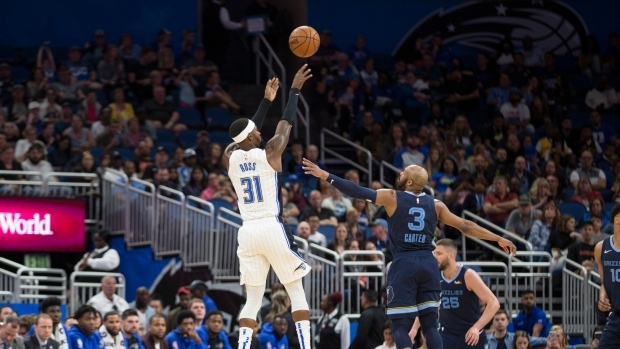 "The things you have to do to play well defensively in an NBA game, we were terrible at until the fourth quarter," Magic coach Steve Clifford said. "Terrence Ross kept us in the game singlehandedly, but it was really our defence that won the game. We just did our jobs better in the fourth quarter. We played the way we had to play." Grizzlies: C Joakim Noah (sore knee) sat out the game. ... Conley averaged 29.5 points in the last six Grizzlies' games. ... Memphis was 5 of 12 (41.7 per cent) from the free throw line in the first half. ... Memphis is 3-3 in overtime games this season.